In the mid 1870s following the visits to the North East of the American Evangelists D L Moody and I D Sankey, two residents of the village, William and Thomas Bell surrendered their lives to serve their Lord. Their witness in Longhorsley Village was instrumental in the foundation of Longhorsley Mission in 1875. William Bell ran the village shop and after he died his widow Ann Bell enabled “Belmont” to be built in the centre of the village in which Longhorsley Mission first began in an upper room – it was initially called Longhorsley Hall. The work continued in this building until 1962 when a new hall was built in Drummonds Close. 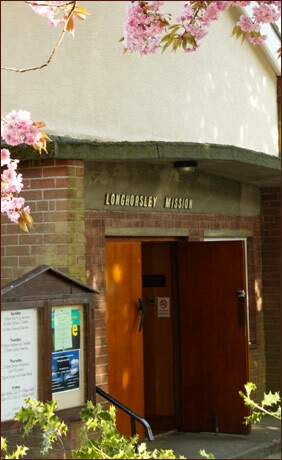 A Side Hall was added to the present building in 1996 to provide additional facilities for church activities.